The colorful, hand-carved wooden horses, once at Euclid Beach Park on Cleveland’s lakefront, welcome riders once again in the Carousel Pavilion at the Cleveland History Center. In 2014, nearly 45 years after the parks closing, the crown jewel of Euclid Beach Park- the Grand Carousel- made its return to Northeast Ohio. Restored by Carousel Works in Mansfield Ohio, it opened to the public in the fall of 2014. Guests can now enjoy a ride on many of the original horses and see hand-painted scenes depicting Cleveland icons and Euclid Beach Park. Take a ride on the Euclid Beach Park grand Carousel, and make a memory sure to last a life time. Congratulations to Laura Travis who became the carousel’s 200,000th rider since 2014 on June 6,2018. 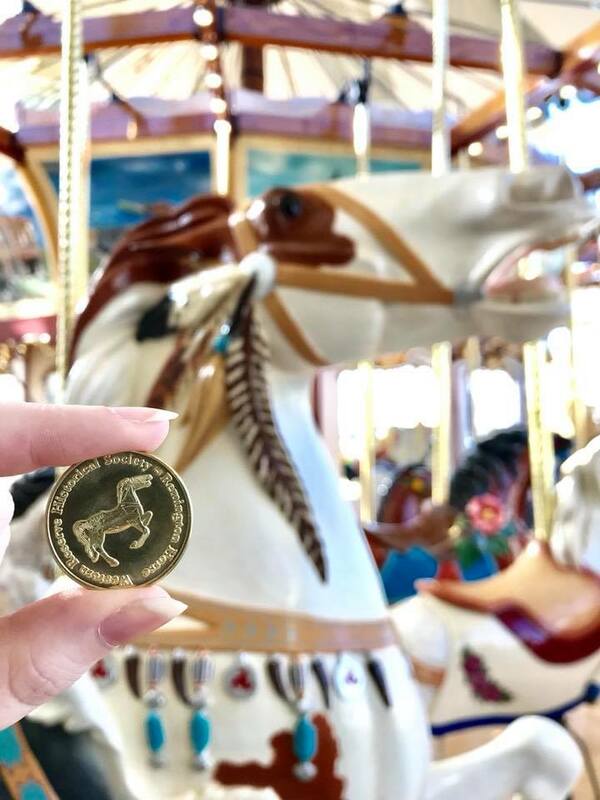 2018’s carousel token is out! Stop by the Cleveland History Center and say hello to Remington! 1910: Philadelphia Toboggan Co. (PTC) creates a new, larger, grander carousel (known as PTC#19) for Euclid Beach Park, with 4 rows of horses, 3 inside rows of “jumpers” and an outside row of nearly life size stationary horses and 2 chariots. 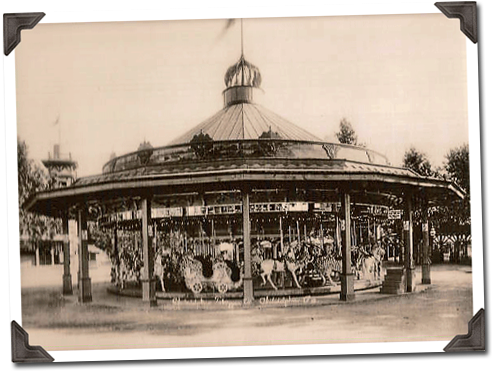 1969: Euclid Beach Park closes and the Carousel is sold to Palace Playland in Maine. 1996: Palace Playland is sold. 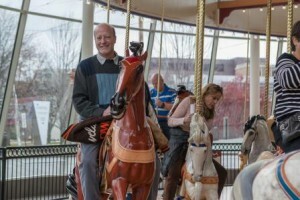 The Carousel is consigned to an auctioneer who moves the Carousel back to Cleveland. 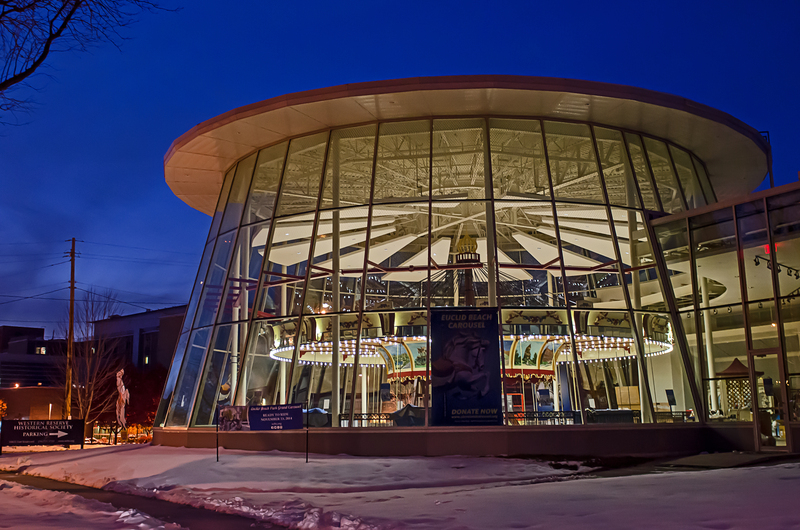 Purchased by The Trust for Public Land, the Carousel is sold to Cleveland Tomorrow. 1998: Cleveland Tomorrow places the Carousel under the stewardship of the Western Reserve Historical Society. WRHS begins restoration of all horses and chariots to the 1910 period. 1999-2000: Restoration of figures is completed. 2004: Cleveland Tomorrow gifts the horses and chariots to WRHS, making WRHS the full and sole owners of the Carousel. 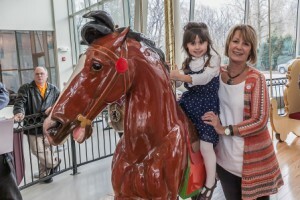 2010: On the 100th Anniversary of the Carousel, WRHS partners with Cleveland’s Euclid Beach Park Carousel Society and Euclid Beach Park Now to return the Carousel to public use. For the safety of our riders, no large bags or backpacks are permitted on the Euclid Beach Park Grand Carousel. Each day, the last ride will take place at 4:45pm. Experience more Euclid Beach Park nostalgia. Check out these awesome video testimonies of the guest experience on the Euclid Beach Park Grand Carousel! Start Your Passport Adventures Today! 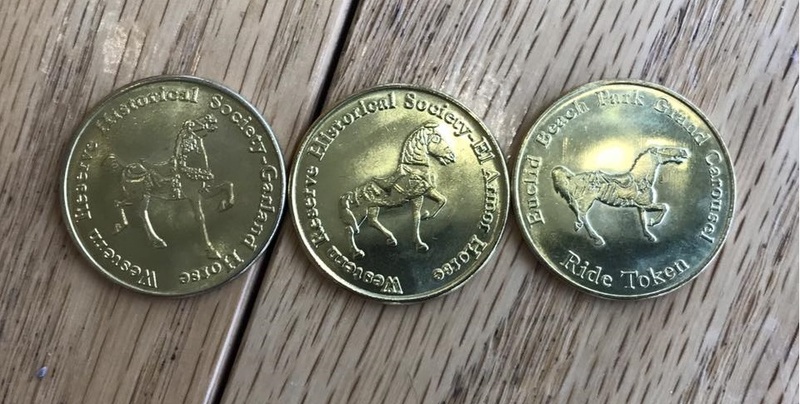 Purchase a Carousel Passport book and receive a stamp for each horse you ride. See if you can ride all 58 horses! 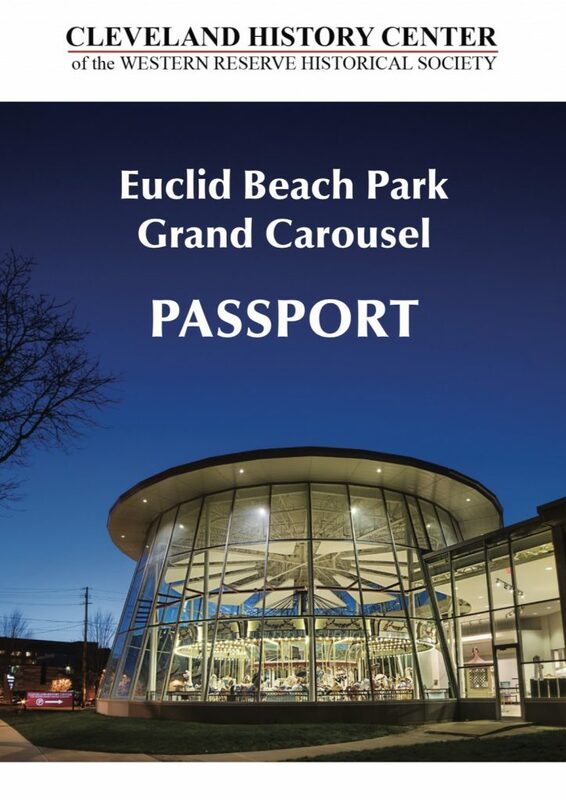 Do you want to be part of the continued history of the Euclid Beach Park Grand Carousel? Consider donating to help preserve and upkeep the Euclid Beach Park Grand Carousel. 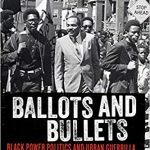 If you’re interested in a sponsorship or donation, contact Glenn Anderson, Jr., Senior Vice President Advancement at 216-721-5722 x1401. 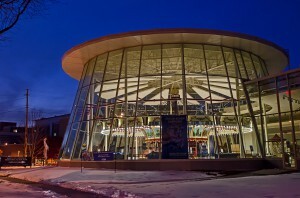 For a full list of current donors to the Carousel project, click here. WRHS is seeking a volunteer for the position of Carousel Spotter to assist in the operation of the Euclid Beach Park Grand Carousel. To download the volunteer position description, click here.